............but I got a question for the board about a critical aspect of the motor test...test voltage. 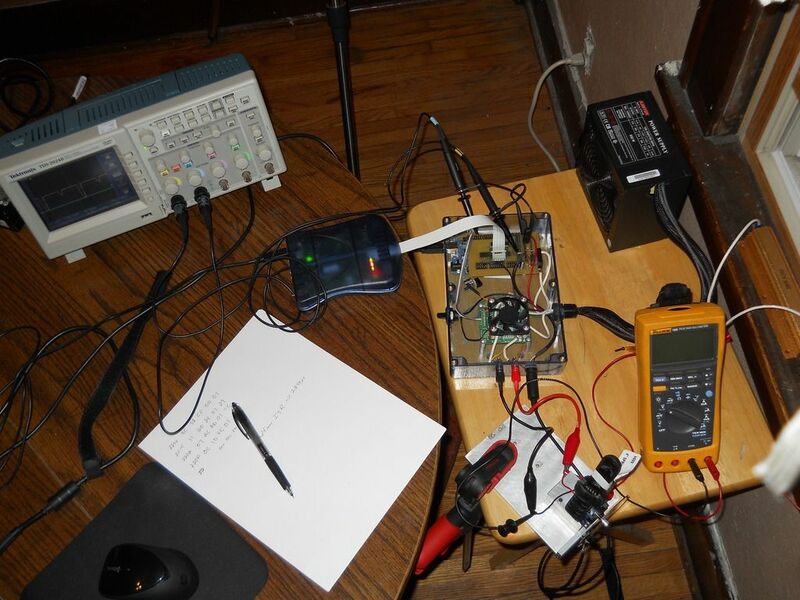 I can apply any voltage to the motor between 0 and 12V, however I would think that the voltage applied to the motor during a test run should be in the range of voltages experienced when running in a typical mini-z setup. So I ask you, what voltage would be ideal in your opinion? 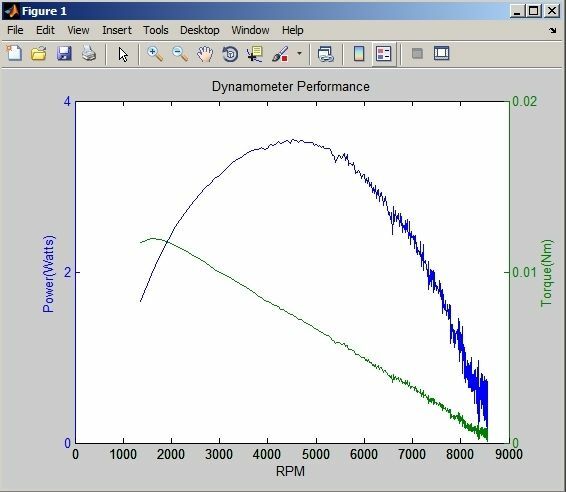 I'm leaning towards 4.8V, so as to get a baseline peak during full-throttle, but what do you guys think? When the nimhs come off the charger they are closer to 6 volt but the amperage is like .7 so that is a factor. When I run my motors to break them in i do it at like 3.5 volts because at 3.5 volts with 3 amps seems nearlybas fast as the 8.4 from the lipo. Could just be me though. Thanks for that feedback. I'm finding that at higher test voltages, the motor initially pulls so much current that the actual voltage dropped on the motor dips down. From a test standpoint, that isn't good. That effect isn't as dramatic at lower voltages. I'm looking into adding in closed-loop feedback so the controller will ramp up/down the voltage in an effort to maintain a constant voltage at the motor from start to finish. Without that, test results that state a constant test voltage are not valid. I will eventually make the 'test voltage' variable so-as to have a comparison at different voltage levels, but I would like a good baseline to start with as I work out bugs and validate results. I still have a lot of work to do finalizing the mechanical end of it too, but I have a working model that gives me nice pulses from the photo-interrupter and that's all I need for now. 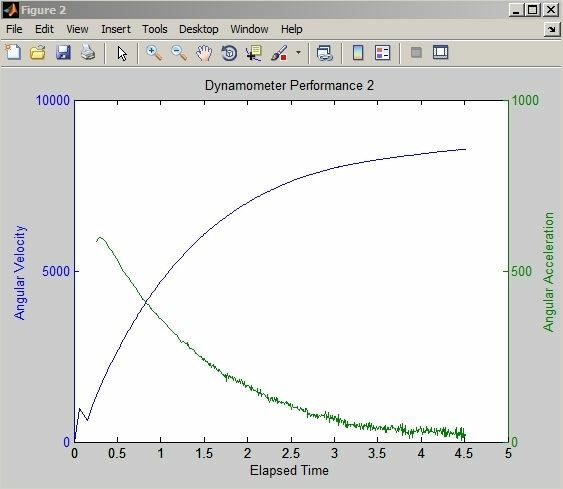 I developed the dynamometer enough to be able to present it as my senior design project to meet the requirements for graduating with a Bachelors of Science in Electrical Engineering. Below is a short video which demonstrates how it picks up the difference between the mini-z stock motor and the PN Racing complement to the same armature (70-turn). The PN Racing motor was consistently putting out higher torque for the same current draw, which I'm assuming is due to higher flux in the magnets. The result was in increase in efficiency with the PN Racing Stock vs. Mini-Z Stock. 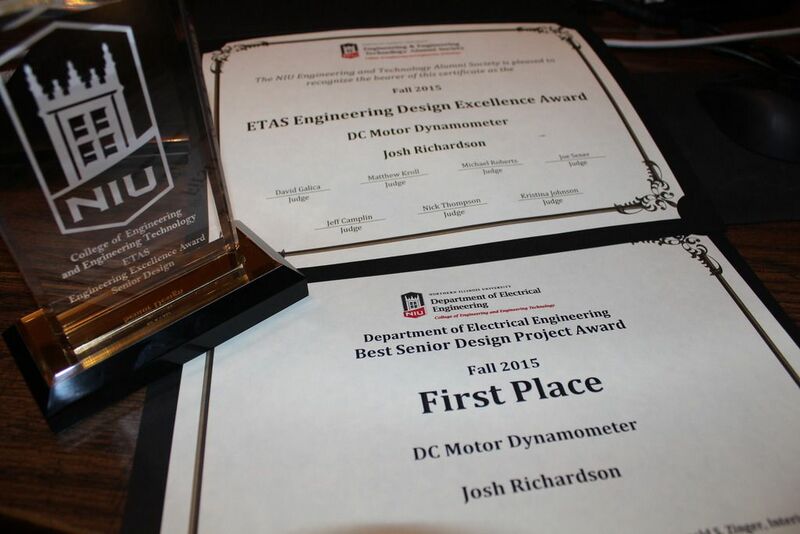 The current draw and dampening factor for both motors registered virtually the same, which is quite promising from an instrumental point of view. With the motors having the same type of bearing and armature turns, they should be about the same in that respect. I'm guessing that this comes as no surprise to experience mini-z'ers on the boards, but from an engineering standpoint it is quite satisfying to see the actual numbers. So, I got the BSEE degree...had the commencement ceremony on Sunday, December 14th, and on Monday, December 15th I started my first day of work as an Electrical Test Engineer for Danfoss, designing test solutions for low, medium, and high power industrial motor drives. Cheers! Congratulations. You should be very proud. I hope you stay around the boards with us and keep contributing as you have. I wish I had more time to spend with mini-z, especially on the actual racing side of it. You guys definitely have good experts here in that regard. I was thinking, eventually, that a dyno would be a neat thing to have at racing events so that racers could qualify to a specific performance band that could be verified, kind of like what they do in some actual motor sports. It would mitigate any question that someone either cheated or was given a motor of questionable integrity before a race. It also provides an objective method of determining the effectiveness of modifications, rather than being subjected to countless variables (ie changing track conditions). All in time though. You guys have a great holiday! I agree, I think there would be a demand for a commercial product that allowed groups to test motors on the spot. I agree as well, for brushed motors to be thoroughly matched before a race, through a steady range of consistent voltages and resistances... I would think you would sell it to some manufacturers first. Last edited by Thorvald; 2015.12.21 at 04:59 PM. 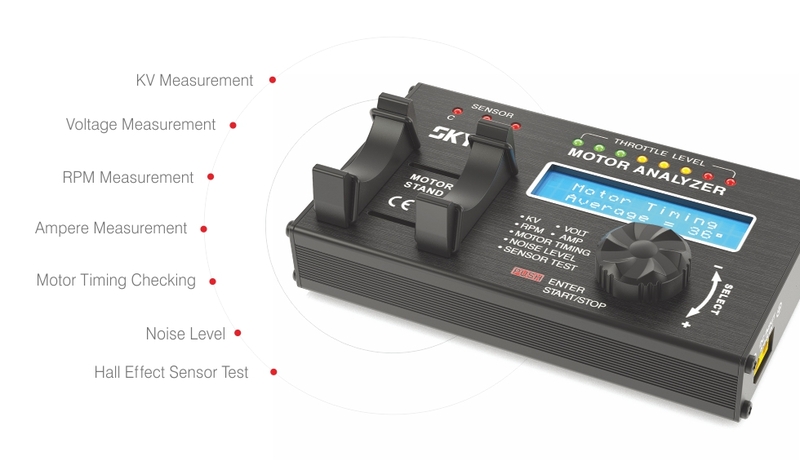 Yes, well....from the looks of that, it is a brushless motor tester to the extent of checking functionality, with the ability of measuring no load speed and power consumption. That does not load the motor, and therefore cannot verify torque, output power, or efficiency. It has a brushless motor controller built inside of it, provides the user with the ability to ramp the motor up and down, and provides some feedback from the hall effect sensors, which is pretty cool from a diagnostics standpoint. 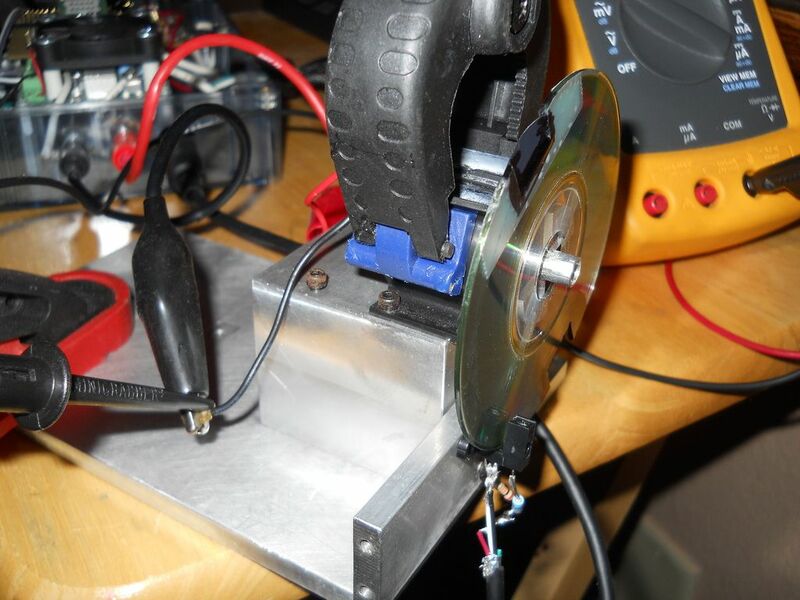 Very good tool for brushless users, but not a dynamometer.